Dining at Crave tucked inside Midtown Crossing in Omaha the other night, was a mix between “am I being Punk’d” and “did Gordon Ramsey make a visit here?” You see, I dined at Crave when they first opened and honestly, I wasn’t impressed. This time around was a completely different story and now I can’t wait to get back! 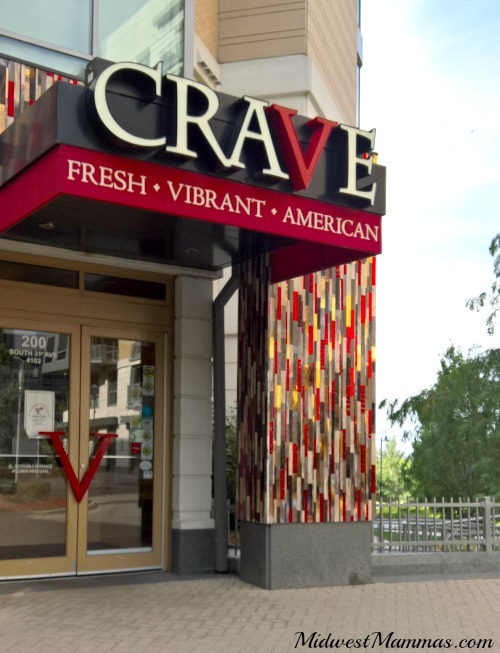 While Gordon Ramsey didn’t visit, Crave did undergo some major changes since I was last there and if you haven’t been you should experience Crave Omaha soon! In the past year and a half they have taken on new owners, new executive chef, new bar manager, and amazingly delicious food by the plateful. 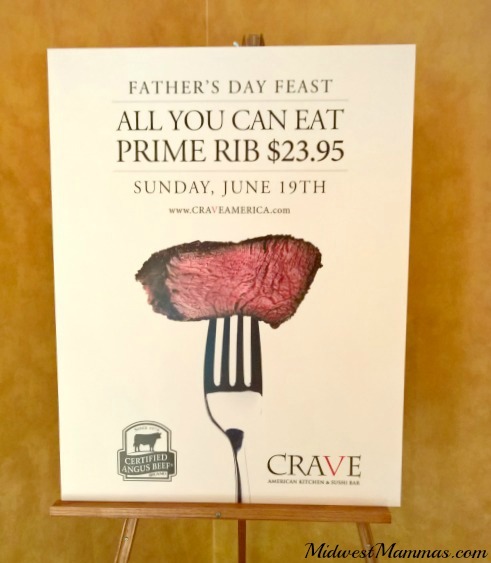 I joined a few other Omaha Bloggers to check out the menu and learn about the Father’s Day Special at Crave in Omaha. Okay, the food. The Crave menu does not disappoint in any category. 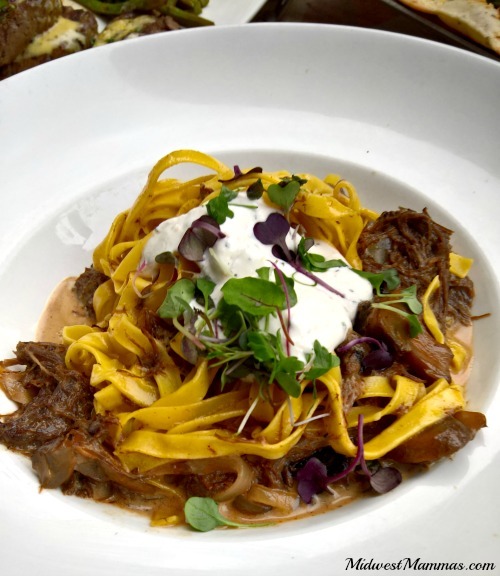 In addition to their regular menu, they have a great gluten-free menu, a kids menu, a date night menu, and vegan options as pretty much everything is fresh and made to order in house. For example, the sushi. 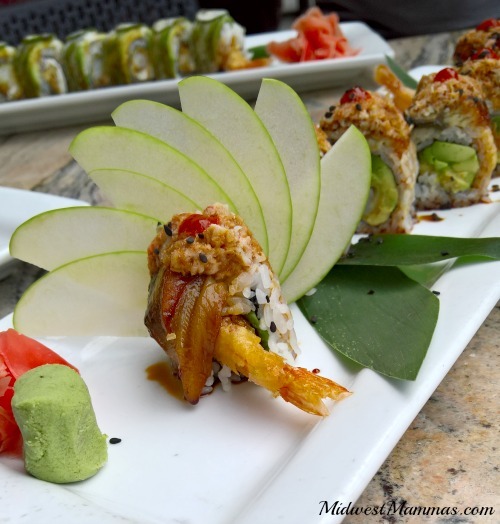 Did you know Crave has sushi? Honestly, I’m not a big sushi fan but, the presentation was beautiful and the rest of the bloggers were enjoying every bite. Appetizers are one of my favorite parts of the menu and I like that the appetizer portions at Crave are shareable. For me, that means meal sized and I’m all over that! We tried Calamari and Kogi Beef Tacos, I loved both and wouldn’t let them remove the plate of tacos until I had polished off as much as I could. The flavor was SO good. 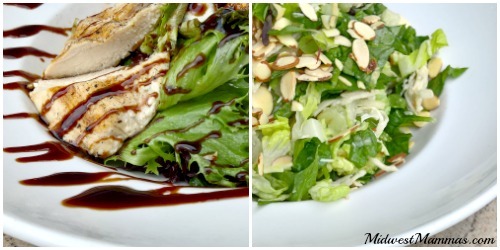 If you like a great salad, you can also find that at Crave. We sampled two types of chicken salads and both were yummy. My favorite overall was the Chopped Chicken Salad and one I would get again. I’m not even sure where to begin on entrees because they were all so darn tasty. My overall favorite would probably be the Lemon Garlic Chicken. 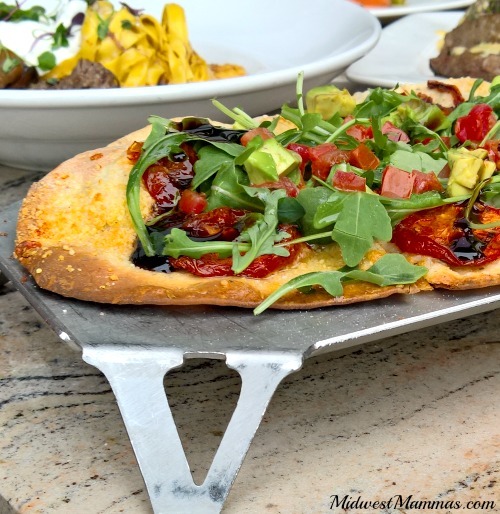 A close second would be the Caprese Flatbread because the flavor on this was unbelievable. 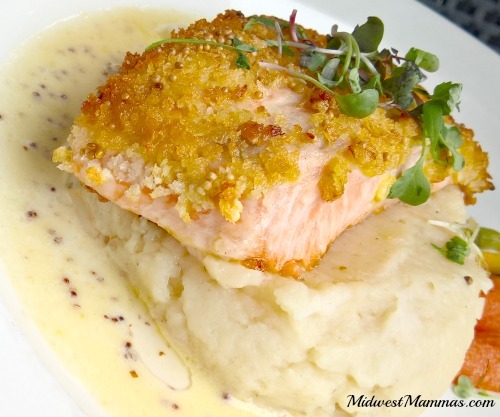 …a very fresh and flavorful Norwegian Salmon…. 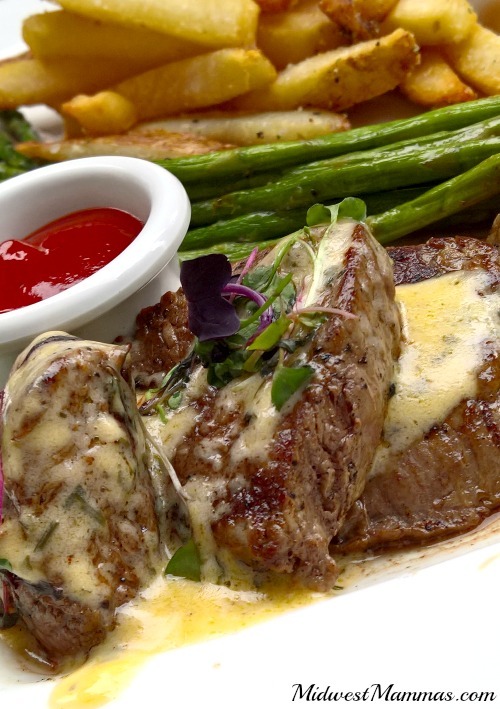 ….and Steak Frites that melted in your mouth. Next to appetizers, dessert is the best part of the menu in my book. If you have trouble deciding, go with Crave’s Dessert Sample for a little of all the best worlds. 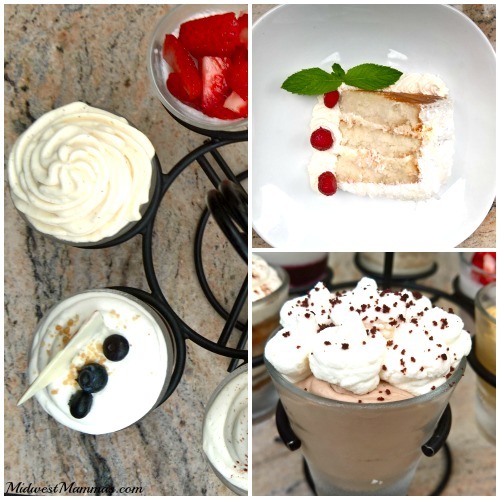 You get individual cups of French Silk, Salted Caramel Mousse, Blueberry Cheesecake, Tiramisu, Strawberry Pana Cota, and Tres Leches. If you like coconut, give “The Original” Coconut Cake a run for it’s money with it’s light and fluffy cake. I have to give a nod to the S’mores Brownie. I even grabbed one of these to bring home and the oldest two kids really liked it. 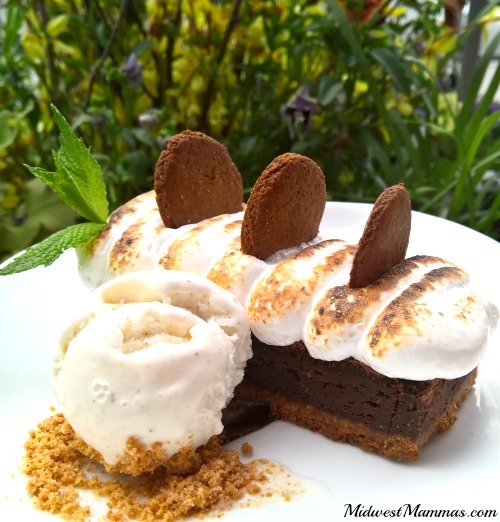 A graham cracker crust, brownie middle, marshmallow topping, and a side of marshmallow ice cream make this a great summer treat. I seriously can not wait to get back to Crave and I think I’m going to hit up one of the Date Nights on Friday or Saturday. 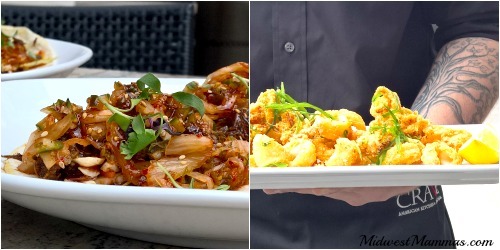 For just $60 you get two appetizers, two entrees, two desserts, and a bottle of wine! There is a special Date Night Menu featuring several of the dishes I featured above. Police eat free (up to $25), and other discounts include 20% Off for Military and Mutual of Omaha Employees, and 15% off for UNMC and Creighton Employees and Students. 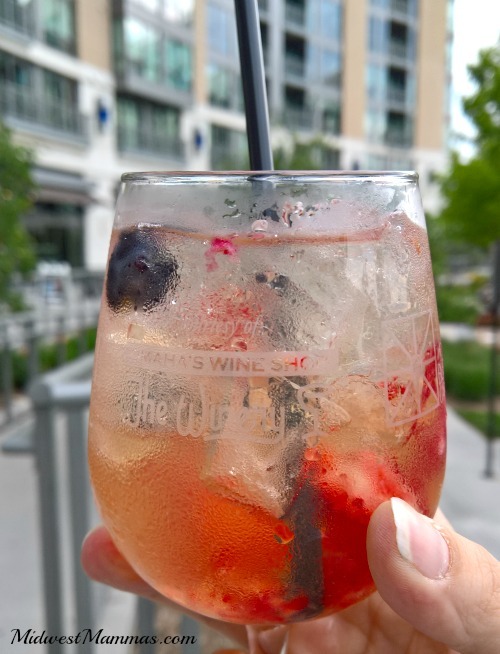 Happy Hour is Monday – Saturday from 3 PM – 6 PM and 9 PM – close, as well as all day on Sunday. Patio available but, no reservations are taken. Before heading to dinner, join the Crave Loyalty Program so you can start earning rewards each visit. You will also receive coupons for your birthday and anniversary. I am a sweets girl. I want to try the dessert sampler first and work my way to appetizers lol. 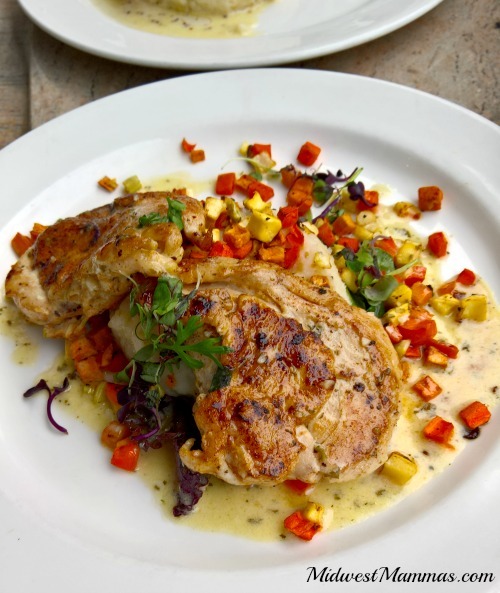 I can't wait to try the Carpese Chicken Rosa at Crave! It all looks so yummy but I would love to try the blueberry cheesecake! I would try the sushi! Out of town guess coming and looks like a place to add to the list to visit. Look forward to trying Crave out. I want to try the Crave burger with a side of the Crave wings. I want to try the Crave Burger. Yum!